Home Applications Break World Yoga Record with your iPhone/iPad or iPod touch! Break World Yoga Record with your iPhone/iPad or iPod touch! More then 10,000 people are gearing up to participate in world's largest Yoga event held by Flavor Pill. What's more is that it will actually be monitored by the team at the Guinness Book of World Records. As most yoga practitioners in the country will not be able to make any of these events, Deepak Chopra and his yoga instructor Tara Stiles are offering a new app for the iPhone, iPad and iPod touch users called “Authentic Yoga with Deepak Chopra”. With this app people from all over the world have a chance to join the great event. Just imagine you can be a part of this event no matter where you are at home, at work or somewhere else and all this is possible simply, with your iPhone, iPad or iPod touch. 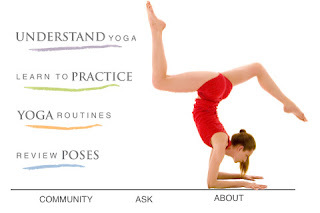 You can practice several poses with Deepak and Tara no matter on what yoga level you are. Additionally, if you suffer from back pain or tight shoulders there are poses designed even for this propose. The app includes video, images and audio instruction from both Tara and Deepak. For the worldwide event, Signal Patterns (developer of the app, as well as many other psychological based mobile apps) together with Deepak Chopra are offering special reduced price $ 0.99 (USD) that will be valid from 22th of June till the end of the week. Every participant who will use the app will be tallied and sent for insertion to the Guinness Book of World Records. Don't miss the chance to be part of the world's great event! Performance will start at 5:30 pm eastern time and run for an hour and a half. Authentic Yoga with Deepak Chopra 1.5 is only $0.99 USD and available worldwide exclusively through the App Store in the Healthcare & Fitness category.